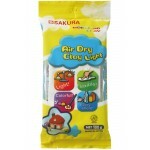 Light weight airdrying modelling material 100gm. Can be kneaded into any shape with moist hands, when dry can be glued and painted. Store unused portion in an airtight container. .. 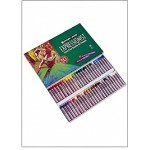 Medium - Empty, Refillable ..
Craypas Classroom Pack - Assorted 36 x 12 colours - 432pc - Oil PASTELS, When used in conjunction with other media, offer many interesting possibilities for creative activity. Apply directly to paper and then blend by rubbing with a finger or paper stump. Pastels are ideal for exercises designed ..
Large Unwrapped - NEP16 - 16pc - PASTELS, When used in conjunction with other media, offer many interesting possibilities for creative activity. Apply directly to paper and then blend by rubbing with a finger or paper stump. Pastels are ideal for exercises designed to develop colour awareness in ..
Large Unwrapped - NEP25 - 25pc - PASTELS, When used in conjunction with other media, offer many interesting possibilities for creative activity. Apply directly to paper and then blend by rubbing with a finger or paper stump. 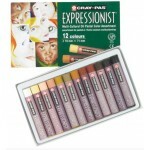 Pastels are ideal for exercises designed to develop colour awareness in .. Extra Colours - Gold - Large XLP51 - 12pc - PASTELS, When used in conjunction with other media, offer many interesting possibilities for creative activity. Apply directly to paper and then blend by rubbing with a finger or paper stump. 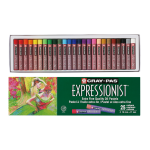 Pastels are ideal for exercises designed to develop colour aw..
JUMBO Expressionist Thick sticks 10mm diameter x 71mm long Assorted - XLP12SA - 12pc - Multicultural Colour Pastels, When used in conjunction with other media, offer many interesting possibilities for creative activity. 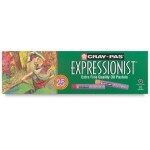 Apply directly to paper and then blend by rubbing with a finger or paper stum..
Cray-pas Expressionist Extra Colours - Silver - Large XLP53 - 12pc - PASTELS, When used in conjunction with other media, offer many interesting possibilities for creative activity. Apply directly to paper and then blend by rubbing with a finger or paper stump. 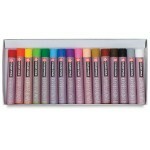 Pastels are ideal for exercises de..
JUMBO Expressionist Thick sticks 10mm diameter x 71mm long Assorted - XLP12 - 12pc - PASTELS, When used in conjunction with other media, offer many interesting possibilities for creative activity. Apply directly to paper and then blend by rubbing with a finger or paper stump. Pastels are ideal fo.. Extra Colours - Black - Large XLP12/49 - 12pc - PASTELS, When used in conjunction with other media, offer many interesting possibilities for creative activity. Apply directly to paper and then blend by rubbing with a finger or paper stump. Pastels are ideal for exercises designed to develop colou.. Extra Colours - White - Large XLP12 - 12pc - PASTELS, When used in conjunction with other media, offer many interesting possibilities for creative activity. Apply directly to paper and then blend by rubbing with a finger or paper stump. 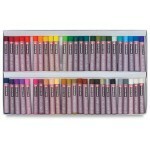 Pastels are ideal for exercises designed to develop colour a..
JUMBO Expressionist Thick sticks 10mm diameter x 71mm long Assorted - XLP25 - 25pc - PASTELS, When used in conjunction with other media, offer many interesting possibilities for creative activity. Apply directly to paper and then blend by rubbing with a finger or paper stump. 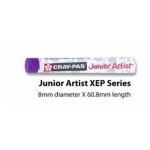 Pastels are ideal fo..
JUMBO Expressionist Thick sticks 10mm diameter x 71mm long Assorted - XLP50 - 50pc - PASTELS, When used in conjunction with other media, offer many interesting possibilities for creative activity. Apply directly to paper and then blend by rubbing with a finger or paper stump. 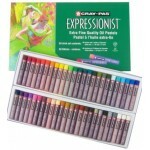 Pastels are ideal fo..
Cray-pas Junior Artist Extra Colours - Black - Small XEP12/49 - 12pc - PASTELS, When used in conjunction with other media, offer many interesting possibilities for creative activity. Apply directly to paper and then blend by rubbing with a finger or paper stump. Pastels are ideal for exercises .. 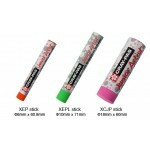 Extra Colours - White - Small XEP12 - 12pc - PASTELS, When used in conjunction with other media, offer many interesting possibilities for creative activity. Apply directly to paper and then blend by rubbing with a finger or paper stump. 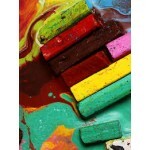 Pastels are ideal for exercises designed to develop colour a.. 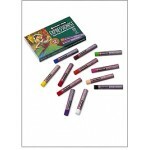 Original Craypas Oil Pastels - Standard Size 8x61mm - XEP12 - 12pc - PASTELS, When used in conjunction with other media, offer many interesting possibilities for creative activity. 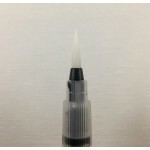 Apply directly to paper and then blend by rubbing with a finger of stiff brush. Pastels are ideal for exercises desi.. 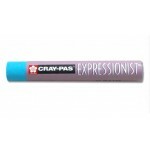 Original Craypas Oil Pastels - Standard Size 8x61mm - XEP16 - 16pc - PASTELS, When used in conjunction with other media, offer many interesting possibilities for creative activity. Apply directly to paper and then blend by rubbing with a finger or paper stump. Pastels are ideal for exercises desi.. 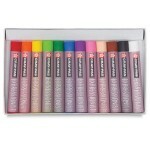 Original Craypas Oil Pastels - Standard Size 8x61mm - XEP25 - 25pc - PASTELS, When used in conjunction with other media, offer many interesting possibilities for creative activity. Apply directly to paper and then blend by rubbing with a finger or paper stump. Pastels are ideal for exercises desi.. 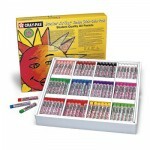 Original Craypas Oil Pastels - Standard Size 8x61mm - XEP50 - 50pc - PASTELS, When used in conjunction with other media, offer many interesting possibilities for creative activity. Apply directly to paper and then blend by rubbing with a finger or paper stump. Pastels are ideal for exercises desi.. 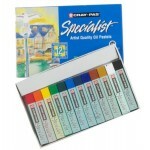 SPECIALIST ARTIST QUALITY (SQUARE 10x10mm) Set Assorted - ESP12 - 12pc - PASTELS, When used in conjunction with other media, offer many interesting possibilities for creative activity. Apply directly to paper and then blend by rubbing with a finger or paper stump. Pastels are ideal for exerc..